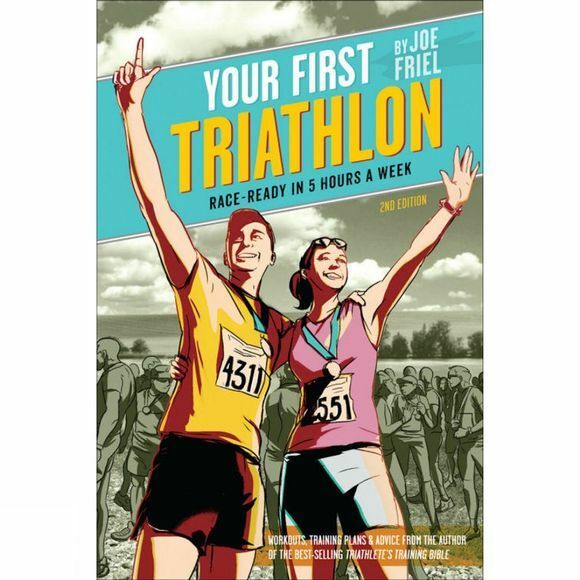 Joe Friel is the top coach in triathlon and his book Your First Triathlon is the best-selling book for beginner triathletes. This clear and comprehensive book makes preparing for sprint and Olympic triathlons simple and stress-free. Joe Friel's practical training plan takes fewer than five hours a week, giving aspiring triathletes the confidence and fitness to enjoy their first race. Your First Triathlon offers a twelve-week training plan for total beginners as well as custom plans for athletes experienced in running, cycling, or swimming. Four easy-to-use plans include achievable swim, bike, run, and optional strength workouts that will gradually but surely build anyone into a triathlete. Joe offers helpful advice to simplify the complexities of the swim-bike-run sport. Even a total novice will learn commonsense tips and tricks to navigate packet pickup, set up a transition area, fuel for race day, finish a stress-free swim, and ensure that race day goes as smoothly as planned. Joe Friel is the coach experienced triathletes trust most. His book The Triathlete's Training Bible is the best-selling triathlon training resource and now his trusted advice is available to help beginners enjoy their first triathlon experience.